This is inflammation of one or more joints characterized by swelling, warmth, redness of the overlying skin, pains and restriction of motion. So many disease may cause arthritis including Rheumatoid arthritis, Osteoarthritis, Gout, Tuberculosis and other infections. Osteoarthritis: is degenerative arthritis. It is a chronic disorder of joint cartilage and surrounding tissues that is characterized by pain, stiffness and loss of function. It is the most common joint disorder and affects people from middle-age to old-age. Before age 40, men develop osteoarthritis more often than do women, because of injury. From age 40-70, women develop the disorder than do men. But after age 70, the disorder is said to develop in both sexes equally. This is an inflammatory arthritis in which joints, usually including those of the hands or feet, are inflamed, resulting in swelling, pain, and often the destruction of joints. This type affects women 2-3 times more than men. Usually, rheumatoid arthritis first appears between 25 and 50 years of age, but it may occur at any age. Even juvenile rheumatoid arthritis in children. The exact cause of rheumatoid arthritis is not known. It is considered an autoimmune disease. That is, the components of the immune system attack the soft tissue that lines the joints. Eventually, the cartilage, bones and ligaments of the joints erode, causing deformity, instability and scaring within the joint. Usually, the inflammation is symmetric i.e affecting joints of both sides (left and right) of the body. Typically, the small joints in the fingers, toes, hands, feet, wrists, elbows and ankles become inflamed first. Such joint become painful and stiff especially just after awakening. Affected joints enlarge because of swelling of the soft tissue and can quickly become deformed. Joints may freeze in one position and fail to bend or open fully. Sometimes the fingers tend to dislocate slightly from their normal position toward the little finger. Since treatment takes a long time, drug therapy may develop certain side effects depending on the drug used. The better alternative in this case is to opt for acupuncture treatment together with dietetic advice i.e nutrition. 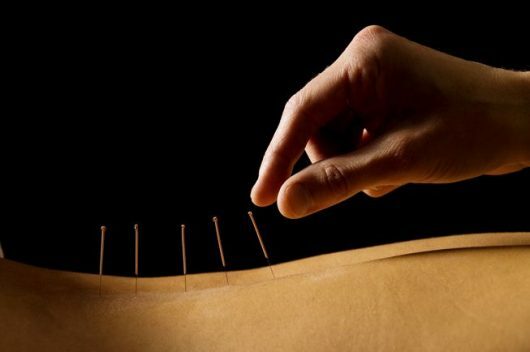 With recent approaches, arthritis treatment using acupuncture obtains instant relief in virtually all cases listed above.